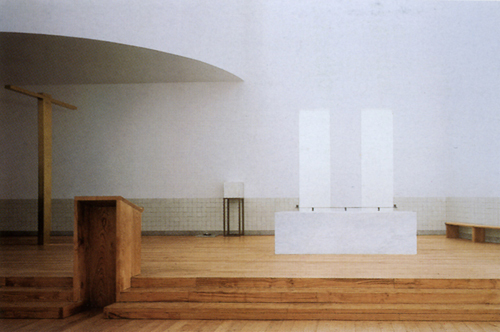 Even for a non-believing non-churchgoer, church architecture can be extremely compelling. 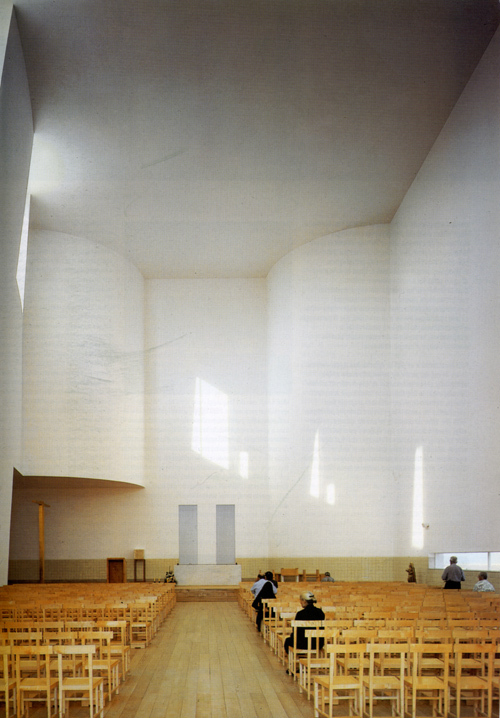 This is not surprising given the fact that church architecture is specifically designed for inspiration, contemplation and the freeing of the mind from distractions and harrassments, rather than for more utilitarian or venal purposes (not that religion can’t be venal too, but that’s a different issue). With increasing social secularization it strikes me that this meditative effect is what many of us are trying to achieve in our own spaces, for better or for worse. Of course it’s this modern mood of expansive whiteness that is being emulated, rather than the dark, gargoyle-ridden behemoths of European stone cathedral architecture. 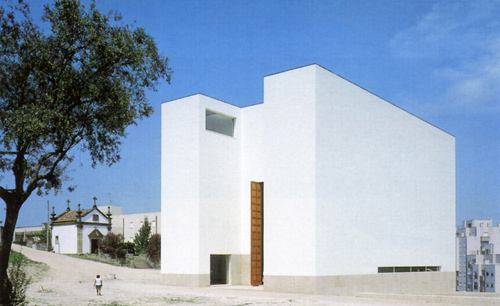 This church, which seems to be more about soothing the mind than fearing god, is one of my favourite Siza buildings. 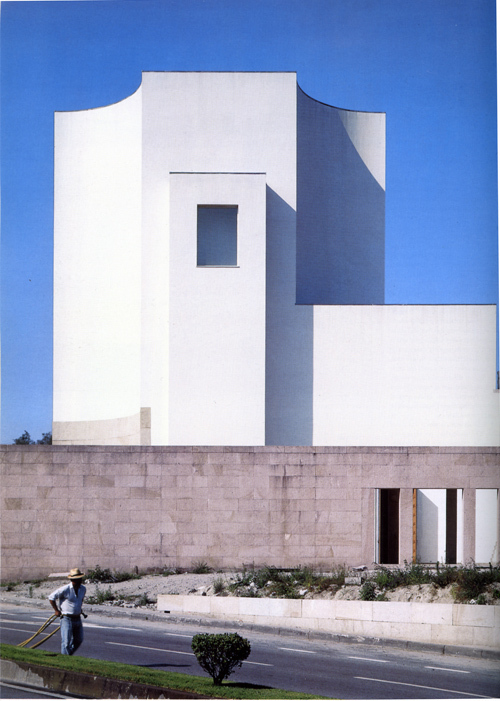 If you’re interested in reading more about Siza, look here (and if you click on the Pritzker jury citation it gives a sense of why they gave him the prize in 1992). 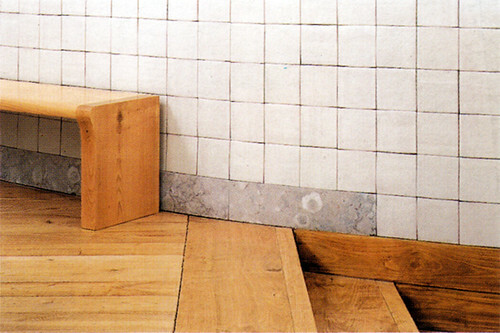 His own website is here, and there is a good Flickr set of his Serpentine installation in London here. 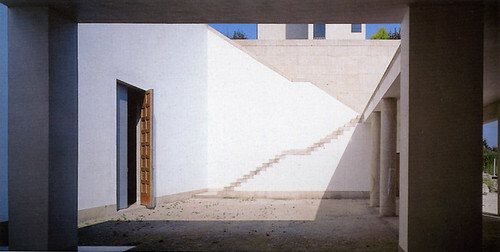 The photos in this post are from a favourite back issue of Domus, the superb Italian architecture magazine, from March 1998. More photos of this beautiful church are here. 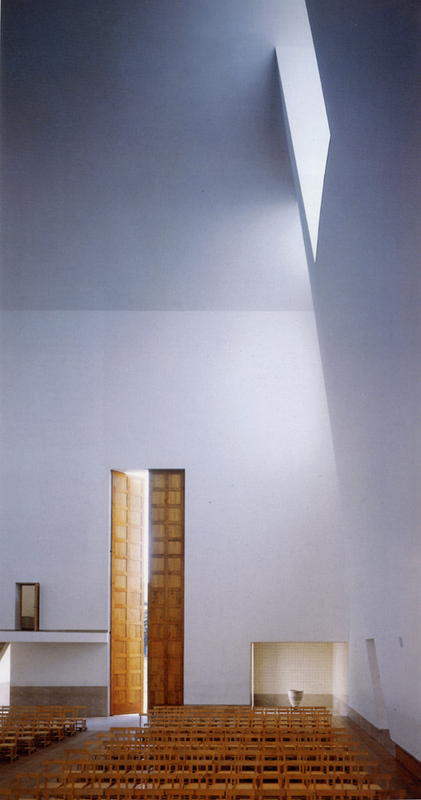 In the photo below, you can see the two low, vertical windows that bring vertical spires of light into the altar. This entry was posted on Tuesday, April 21st, 2009 at 8:11 pm	and is filed under design. You can follow any responses to this entry through the RSS 2.0 feed. You can leave a response, or trackback from your own site. I hope it’s ok that I posted a couple of images of the church on my blog. Can I tell you how much I adore the images you find. I check your blog everyday. always inspiration!